This was a new application for me! 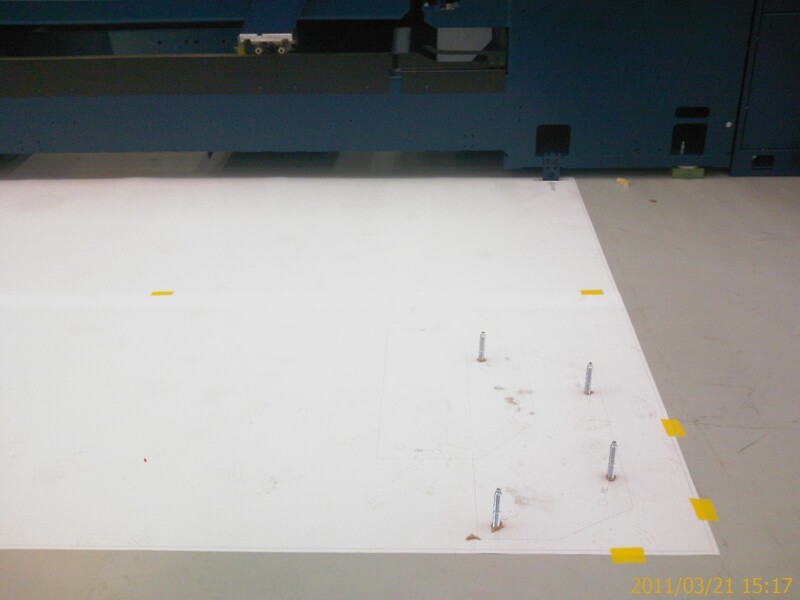 Our customer needed prints on mylar to be used for locating bolts for a machine on a factory floor. We printed on a 5 mil mylar, using the machine that we figured would give us the best accuracy, since the print was nearly 15 ft long. Perfect! We can print on either 36″ or 54 mylar for this purpose. Call us if you have an application. We can print very accurate templates from your Autocad file. This entry was posted in large format printing and tagged bolt patterns, large machine templates, machine location, mylar prints. Bookmark the permalink.